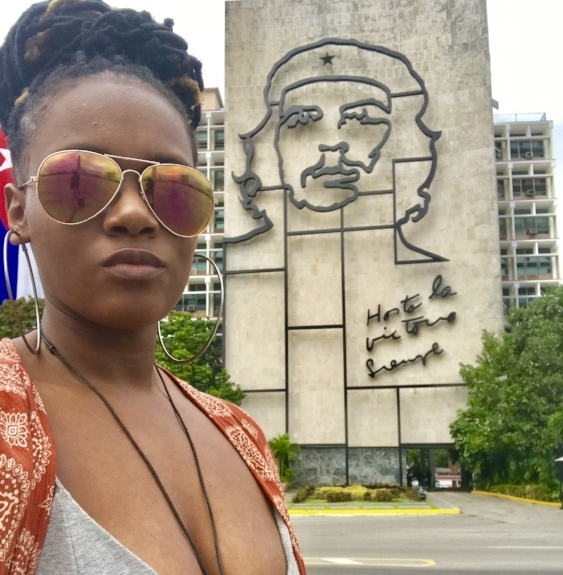 The Experience: There were many misconceptions about Cuba embedded in my mind based off of what I've read in textbooks and watched on TV. 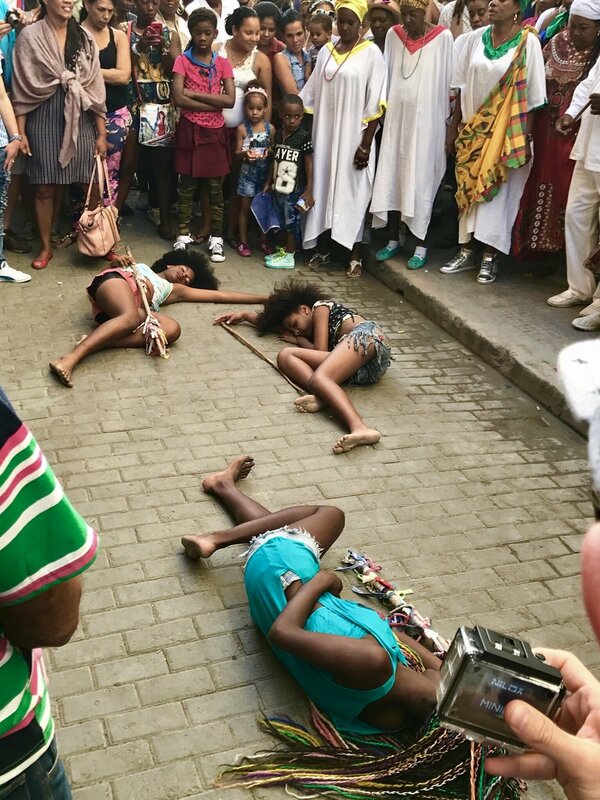 If I let those misconceptions tell it, Cuba was a war zone with a drug house on every corner and its government is one of the most evil on the planet. Every single one of these illusions was shattered after this trip. 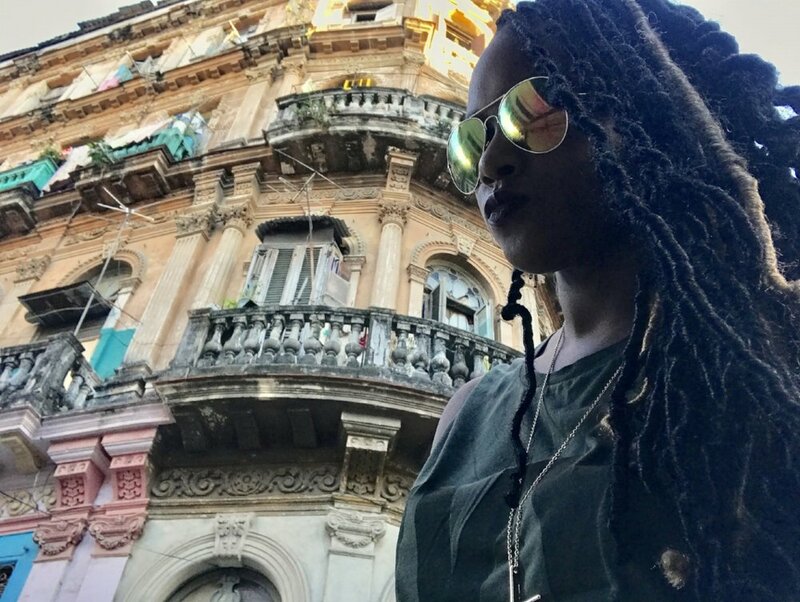 Old Havana: Cuba was the most authentic cultural experience I've had. Going there is the equivalent to being in a time warp. 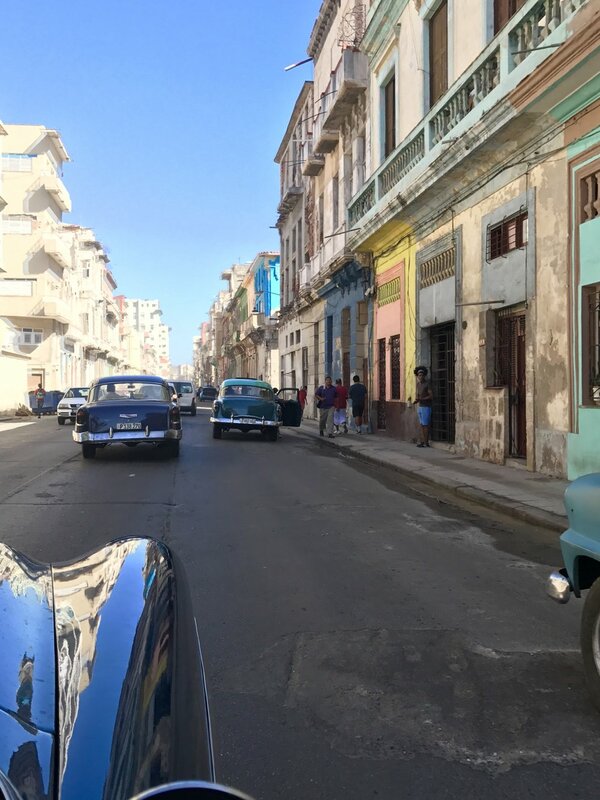 The vintage cars, the vintage architecture, I was fascinated walking the streets of Old Havana. I loved how every building has a unique color and ruggedness to it. Everything was old but still intact. Local restaurants and bars on every corner, fruit stands, and people dancing in the street and the warm weather in January made this place so full of life. The People: Although it was hard to find locals who spoke English, everyone was so nice. Their smiles were genuine and authentic. They all were so interested in getting to know us. Our Airbnb Hosts, what amazing people! Neither one of them spoke English but we couldn't feel more at home. Aside from coming to our apartment to make us breakfast every morning (for 5 CUC per person), they were so helpful with giving us places to go and things to do. My friend Sara speaks Spanish so she was our only way of communication. They were so hospitable and treated us like family. I wasn't aware that basic things we have access to, they don’t. Before we got there they asked us to bring them some multivitamins and of course we did. We even left them with all of our remaining toiletries which they were very appreciative. The people of Cuba are some of the happiest I've ever seen. Meeting them showed me that even in what some may deem as the worst conditions, we all have a lot to smile about. It was also a huge breath of fresh air to see so many men and women with skin and hair just like mine. The ‘Disconnect’: I didn't realize how attached I was to my phone and the internet until I was practically stripped of it. The wonderfully friendly people talking to each other instead of being buried in their phones like the rest of us. It was a new experience that I haven't had before. In any other country, being on your phone was normal. In Cuba, internet access is scarce. It's a struggle to find wifi and when you do, the speed is 2G at best. After struggling for about 2 days I finally gave up and at that very moment I actually started to enjoy my trip. Between getting lost a few times without a care in the world, Walking in different shops, going into restaurants and being stopped by locals just to chat, Havana bought a sense of happiness and light to my life. When there aren't electronic distractions, the only way to communicate is verbal. It was one of the first times in a while I actually saw children (young and old) outside playing as opposed to sitting somewhere on an iPad . It made me kind of sad to realize that this generation of children is missing out on the simple things like going out to play. Varadero: We took a day trip to the beach in Varadero which was A 3 hour taxi ride from our place. The cost was about 25 CUCs per person round trip (it was 3 of us). 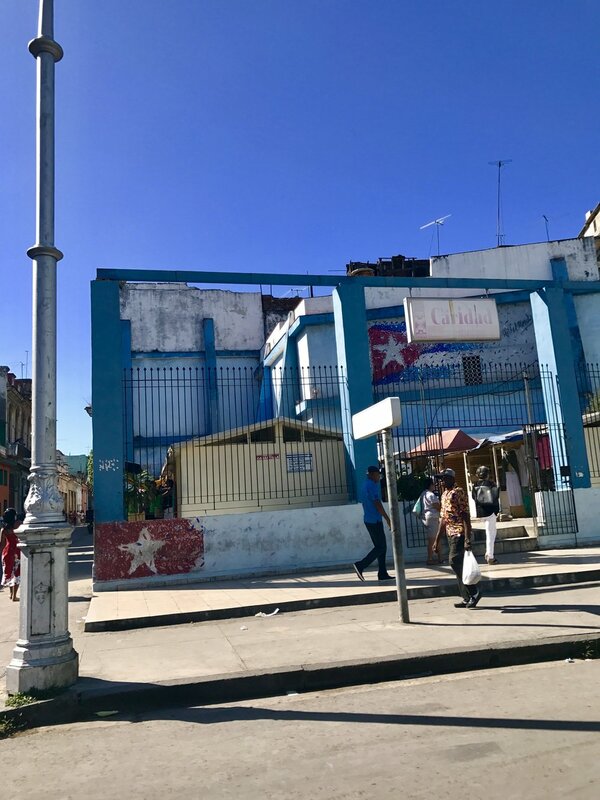 The area itself was a lot different than Havana. It reminded me of a typical Caribbean resort area full of tourists. I've done these kinds of destinations several times in the past and they just aren't my thing anymore. I would rather a more cultural experience. I want to know what it's like to live there and I know staying in a fancy hotel would not give me that. However I must say I did enjoy the beach of Varadero as exploring Havana did a number on us (we were tired!) It wasn't as crowded as I expected but mainly the people we saw were tourists. I would definitely recommend taking a day trip here. The Food: Food is crucial in deciding on whether I enjoyed a place or not. I am not a fan of sugar coating so it's important I remain honest. With respect to the breakfast that my Airbnb host made for us every day, I absolutely HATED the food in Cuba! I really wasn't sure what it was. Nothing really grabbed me. Everything tasted so blah. After reading other people's experiences I saw that they either loved or hated it. There wasn't much in between. Options were also limited for me as I am not a meat eater. However this was never a problem in any other place I've been. I at least thought I would have gotten some good old fashioned rice and peas like I've done in Cuban places at home. Nope. I hated those too. For those who eat pork, chicken and seafood, you will have a plethora of options. The most decent thing I had was pizza (barely), a rice dish (which I still didn't love), and tres leche cake. Although I didn't enjoy the food, I did appreciate the atmosphere in all of the restaurants. It was a friendly and fun filled environment in each place we went. Every waiter/waitress was incredibly nice to us. The live bands added the splash of fun I needed. We did have one bad experience in a restaurant. We walked in and sat at a table. The waiter walked up to us, didn't say hello and just put menus on the table and walked away. After 10 minutes of waiting for our drink orders to be taken, I look over and see the same waiter smile and greet an old white couple while handing them menus. Jose Fuster Art Gallery: What a hidden gem! I always read up on places before I visit and I was surprised that no one mentioned here. Even friends who visited before me knew nothing about it. We found this place because our taxi driver recommended it when we were running out of things to do. 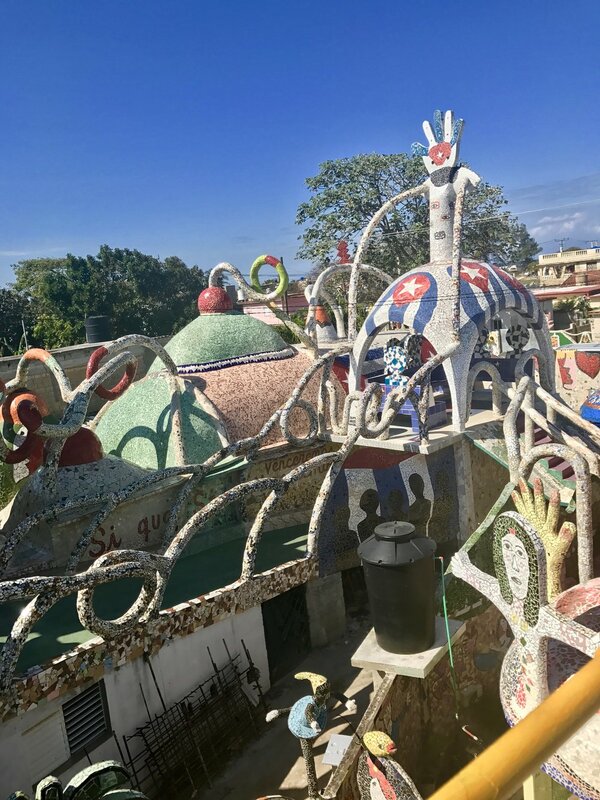 Jose Fuster is a world known Cuban artist who specializes in painting and ceramics. We visited his home/work of art called Fusterlandia. The details and beauty of the way he designed his home is quite intriguing to say the least. We were lucky enough to meet the man behind this masterpiece at his home and he gave us a warm greeting. He was engaged in what looked like an intense game of chess so we didn't want to disturb him. The home is open to tourists and FREE of charge. Great place for photos! Castro: We visited Cuba a few months after Fidel Castro passed away. Because he’s the first person to come to mind (at least to an American), I was curious of others opinions of him. Some people were open to talking about him, others weren't. I've already read negative things about Castro growing up so it was refreshing to hear positive opinions of him from Cuban citizens. I won't discuss politics but overall from what I gathered he got mixed reviews. Some loved him for valid reasons; some hated him for valid reasons. To me, that is no different from any other world leader. Cheap flights to Cuba are everywhere. I found mine on JetBlue (From NYC to Havana) for $200. When booking your flight online you need to choose a reason to visit the country. I chose "Educational purposes". Note: due to recent travel regulations enforced by the US president, please check the new terms for Americans traveling to Cuba. A Visa is required to enter Cuba. I purchased mine at the airport at check in for $50 (costs can vary depending on the airport). Do NOT exchange USD to CUC. You will take a huge loss. Exchange USD to Euros before leaving for Cuba. Then exchange the Euros for CUCs when you get there. Bring enough cash! Your American credit/debit cards are NOT accepted here. Take a day trip to the beach in Varadero. 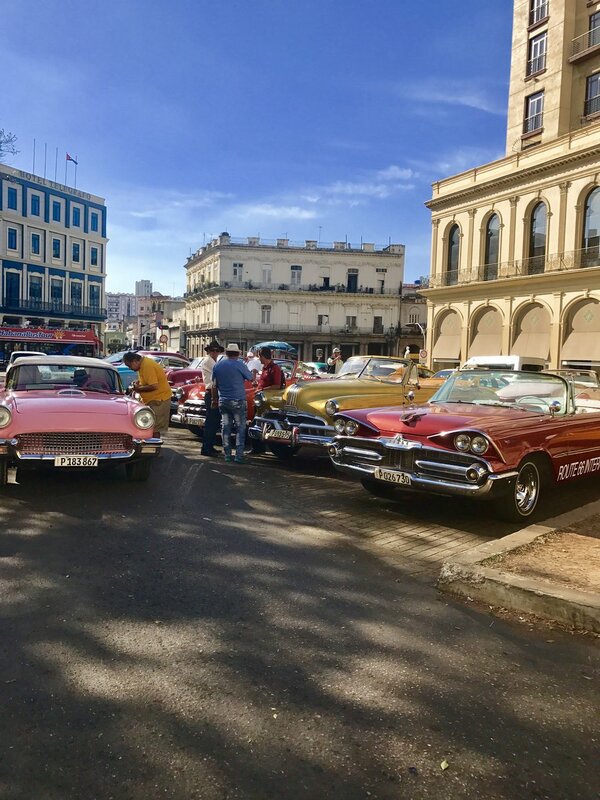 I highly recommend if you need a day to relax from exploring Havana. Wifi is scarce. You need to purchase cards on the street (about 5 CUCs) and can only use it in designated areas. Put your phone down and enjoy! You won't be able to use it much anyway. Restaurants: D'Next ( I liked the Tres Leche cake a lot here) and Nueva George (lots of menu options). 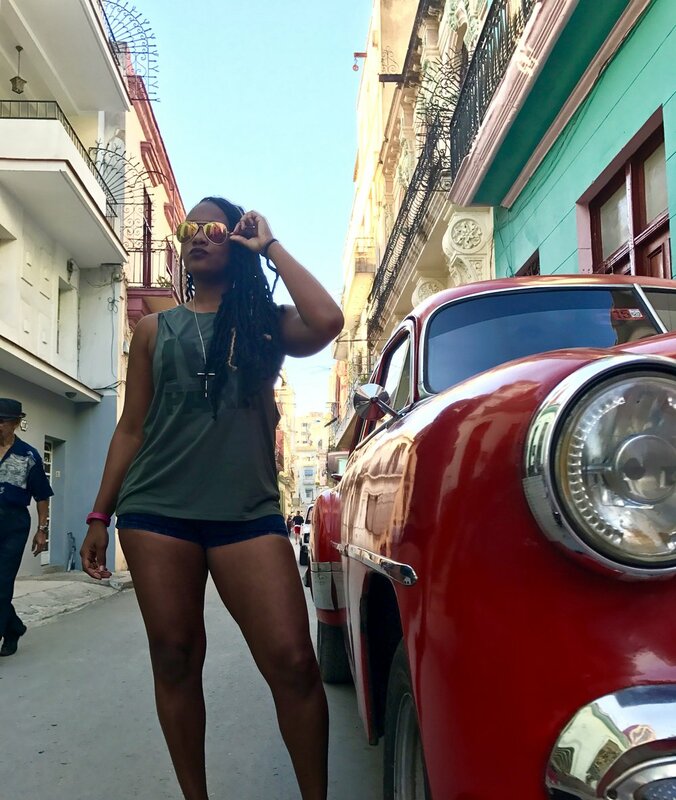 Visiting Cuba taught me a few things. For one: don't believe everything you read. I had been fed so many stereotypes prior to visiting the country that were all broken when I got there. Another thing, I value interpersonal communication more these days. Going there and having very limited access put us in a place where we had no choice but to *gasps* talk to each other! The only people buried in their cell phones were tourists which spoke volumes to me. Not being so attached to my phone is something I have put a conscious effort into since I've visited. Lastly, Cubans are not allowed to leave the country. The visa application process is strenuous and you're more than likely to be rejected. In many cases, they aren't even allowed to travel within the country without proper documentation. I couldn't imagine not being able to leave the states. Or having to document going from New York City to New Jersey. I encourage people to get out and travel. Even if it's to another state or city. Take advantage of the few rights you actually have instead of being confined in a box.